Bali, a beautiful and exotic island attracts thousands of visitors from around the world every year, due to its wonderful beaches, lush forests and friendly people. Even though the island is relatively small, it packs a lot of activities into its small space, and there is a great deal to see and do. As many people choose to stay in Kuta, Bali and the surrounding area for their holidays, the tour starts and ends there. Beginning in the early morning, the destination for the day is Ubud, which lays towards the north. Along the way though, there is a great deal to see and do. The first stop is at Batubulan Village, which is famous for the Barong and Keris dances that are performed here. The village is a cultural centre, and provides an insight into past traditions. From there, the route would take in the villages of Celuk and Mas which are renowned for their gold working and woodcarving respectively. The quality of Balinese wood products from furniture down to artistic idols is rightly world famous, and tourists who have plans to buy items to be sent home would do well to spend some time in Mas. Other stops along the way to Ubud would then take in views of lakes and mountains, passing by rice terraces and temples. There are a fine selection of hotels in Ubud to stay the night in, and a number of quality restaurants to eat in. Ubud is also an excellent place to experience a unique Balinese spa, and the 90 minute “Mandi Lulur” body scrub available at Zen is the perfect way to unwind before heading to bed. The next morning, head toward Amed on the north east coast. As with the day before, there are a number of interesting stops along the way that reveal a little more of the character of both the people and the island. The first stop is made at Penglipuran Village, which is a good example of a traditional Balinese compound. Here, one will discover how and why houses are orientated in certain directions, how livestock is kept and many more things. Other stops include the temple at Besakih and the Gua Lawah (bat cave) before finally arriving in Amed, where one can stay the night in a range of hotels. At night, the restaurants serve some of the best seafood to be tasted anywhere in the world, which is made all the better by the laid back atmosphere. After breakfast, it is recommended to spend some time snorkeling, swimming and diving in the waters around Amed. 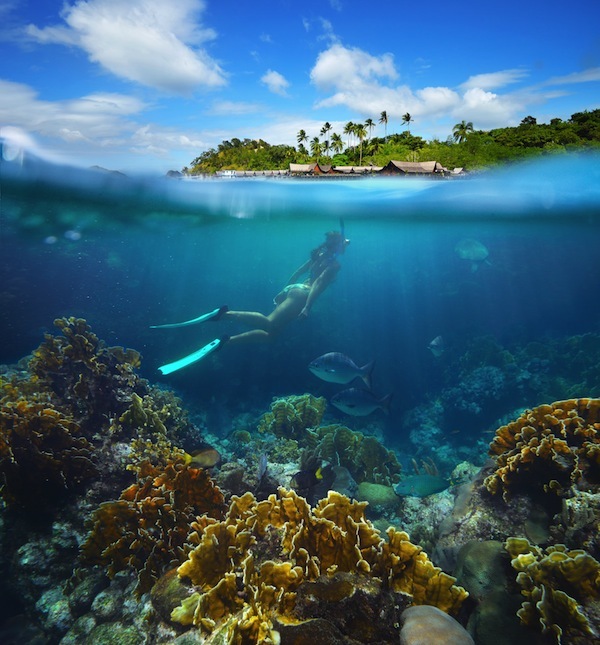 The area is truly stunning, and in particular, scuba divers will enjoy their time here. Perhaps after lunch, you could continue to explore the Lovina Beach, taking in some attractions such as the Sangsit temple along the way. Lovina is situated at the north of the island on the coast, and there are a number of hotels here to spend the night at. Its time to get up early and the early rise will be duly rewarded with a boat trip out to see the dolphins in a wooden boat. Every morning, they gather, and the sight of the sunrise combined with the dolphins leaping out of the water and feeding is an experience of a lifetime. After returning to the hotel and having breakfast, it is then time to head south back to the Kuta area. 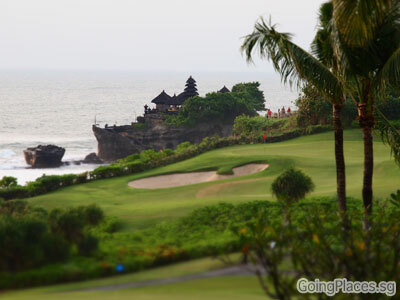 Of course, there are other attractions to see along the way such as the Ulun Danu temple and the Tanah Lot temple. Once back in Kuta and in a hotel, it might be nice to have a snooze before heading out to a restaurant and then experiencing some of the night-life. Places such as the Hard Rock Cafe and La Vida Loca cater to different crowds, but all are good fun. 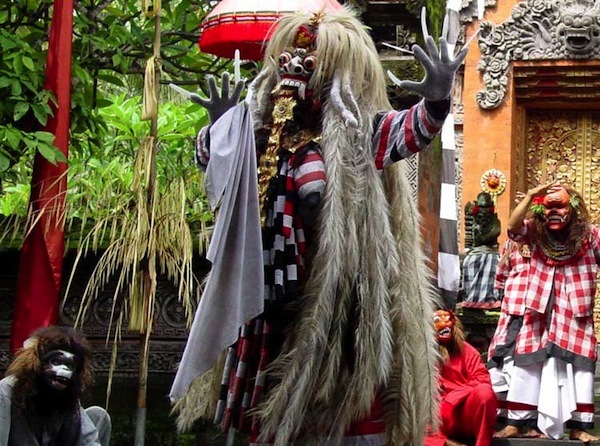 This 4 days 3 nights Bali free & easy itinerary is a great idea for tourists either visiting the island for the first time, or those returning after a previous holiday there. It takes in some of the many highlights of the island, and provides a memorable experience of one of the worlds most beautiful and unique places. 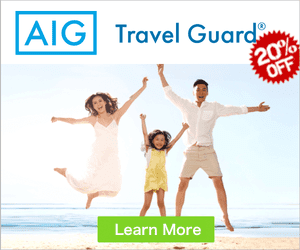 Book your 4D3N Bali tour package with Zuji Singapore and check out its latest promotion.